Summer means it’s time for the return of a classic Summertime treat. A treat that spans generations and quickly transports you back in time to lazy Summer nights gathered around a bonfire. I’m talking about smores!! I LOVE smores and when Summertime hits I look for any excuse to sneak smores into just about anything. 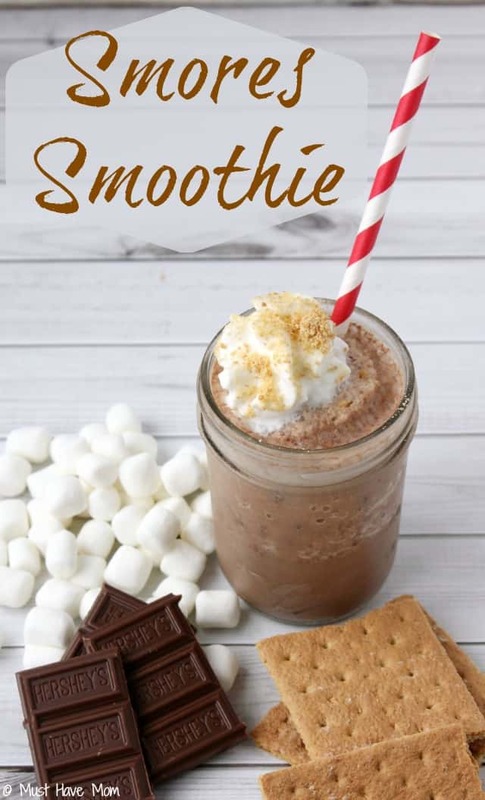 My smoothies are no exception and if you are looking for a cool treat to cool off with then try this smores smoothie recipe! We have been spending as much time as possible on our boat this Summer. Our whole family loves the boat. 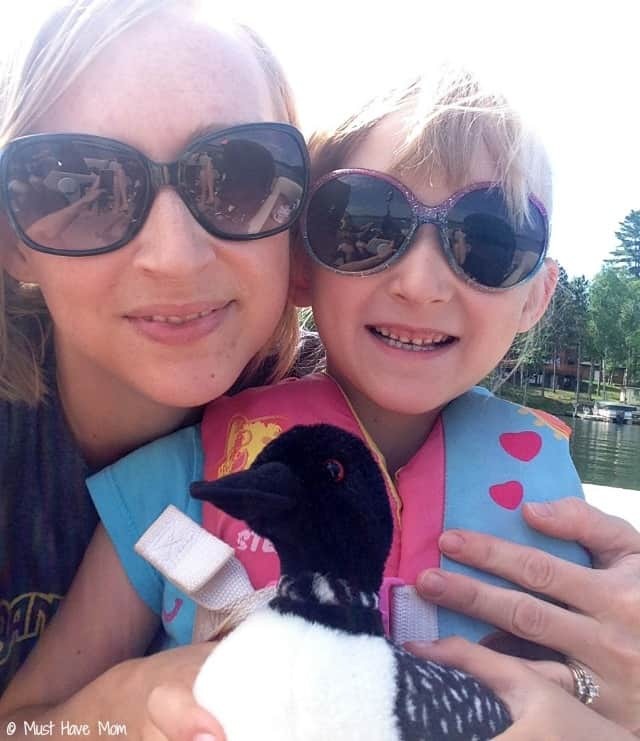 We go boating and pull the kids on the tube, my husband water skis and wakeboards, we put around and eat snacks, the kids bring toys along, it’s a blast! 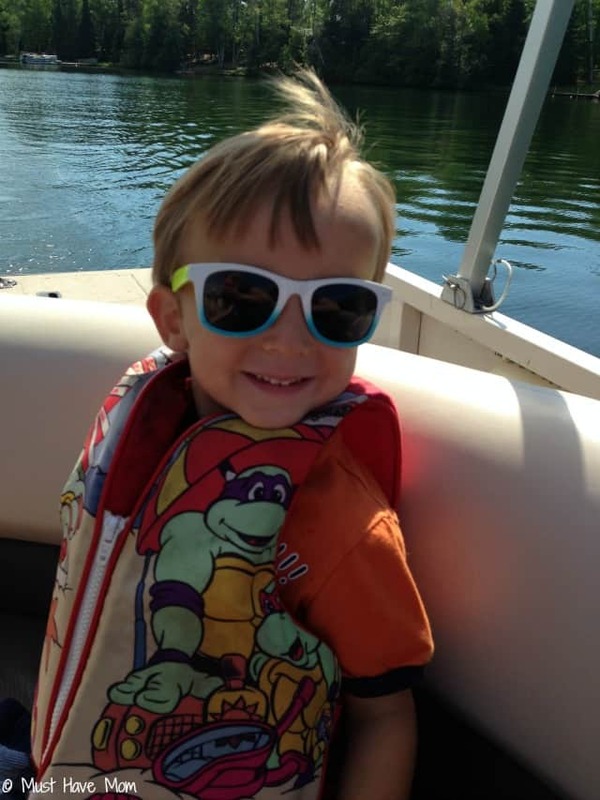 We love to be on the lake all day long! Our boat is a lot of fun because it has a ton of storage and has a flat floor where the kids can throw out a blanket and play with their toys. I love activities that create lifelong memories and this is definitely one of those things my kids will always remember. No matter what you enjoy doing, create family memories together this Summer! When we get back from boating we are generally all hot and hungry. 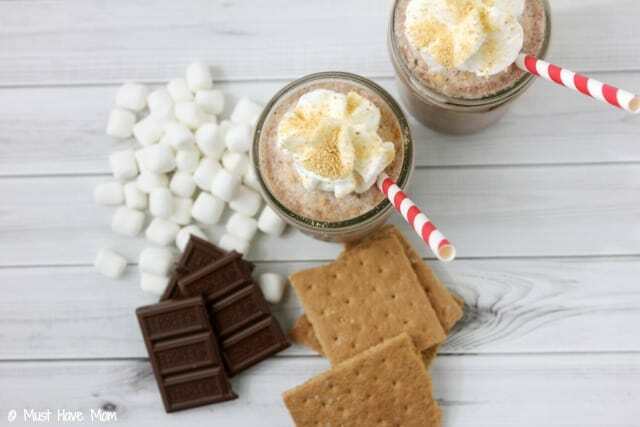 I love to make these Smores Smoothies to cool down and enjoy a treat! The kids always ask for them too! You’ll need one cup of TruMoo Chocolate Milk, two cups of crushed ice, one whole graham cracker, a scoop of marshmallow fluff and three squares of a chocolate bar. Put it all in the blener, except for the graham cracker, and blend until slushy. Then stir in the crushed graham cracker crumbs. I specifically recommend using TruMoo Chocolate Milk in this smoothie for a few reasons. Smoothies made with TruMoo Chocolate Milk are a great source of protein, it is made with fresh white milk that is sourced from your local dairy, pure cocoa, and just enough natural sugar to make it taste great. That means it contains no high fructose corn syrup and no artificial growth hormones, you can feel great about serving it to your whole family—and enjoying it yourself! Then I top with whip cream and sprinkle a little graham cracker crumbs on top to make it look fancy. Pop a straw in and serve! These are so easy and quick to make! The whole family loves cooling off with these on warm Summer days! Print off the recipe below and make sure you share it on Facebook and pin it for later! 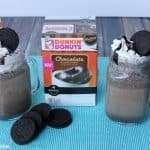 Smoothie recipe that tastes like Smores! In a blender combine TruMoo Chocolate Milk, marshmallow fluff, crushed ice, and candy bar pieces and blend until slushy. Then crush the graham cracker into crumbs and stir in. Reserve a sprinkling to top your smoothie with. *Optional: Top with whipped cream and sprinkle leftover graham cracker crumbs on top. TruMoo Chocolate Milk is available in the dairy case at grocery and convenience stores nationwide. TruMoo is also available at Wendyʼs locations from coast to coast! What is your favorite way to drink TruMoo? « 11 Incredible DIY Photo Projects + Easiest Way To Organize Your Photos! 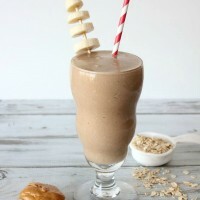 I love smoothies and I love s’mores, so those 2 together sounds just so awesome! Sounds great! I love cool drinks after being out in the hot sun. Your snack sound a lot better than the boring Popsicles I give to my kids. Smores Smoothie? Yes, please… I love smoothies in the Summer. Thanks for sharing! That looks fantastic! 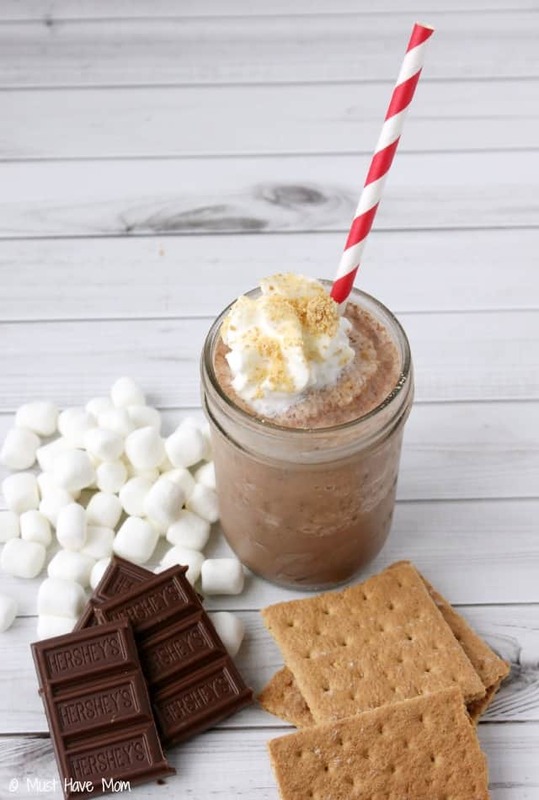 I’m in love with anything S’Mores, and this sounds like a great shake. Yum! Wow! That sounds perfect for camping or relaxing at home! I think my grandkids would go nuts for it! You had me at Smores! 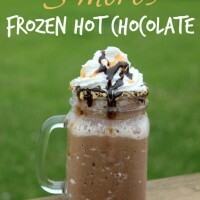 I am a lover of smore’s so I will have to make this! Looks like a fun day out as well!!! Me too. I love s’mores. That sounds amazing. I can not wait to make this. I love smoothies and i have one every morning. My kids would love this recipe. I will have to make it for them this weekend. Smoothies are a great way to get breakfast without sitting down to eat. This is a special treat that is so good. My kids love TruMoo in milkshakes. This smoothie recipe looks so delicious and easy to make. I will have to give it a try. TruMoo Chocolate is my kids favorite. They like to dunk chocolate chip cookies in it. I will have to make this recipe for them to try. Yum! This sounds so good! 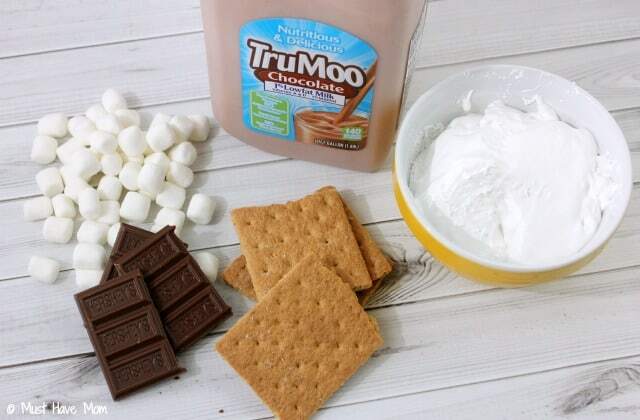 I am a huge fan of TruMoo milk and using it in a recipe sounds perfect. What a delicious treat for the family. I really need to try making some smoothies like that for a special occasion. YUM! My kids love TruMoo too. 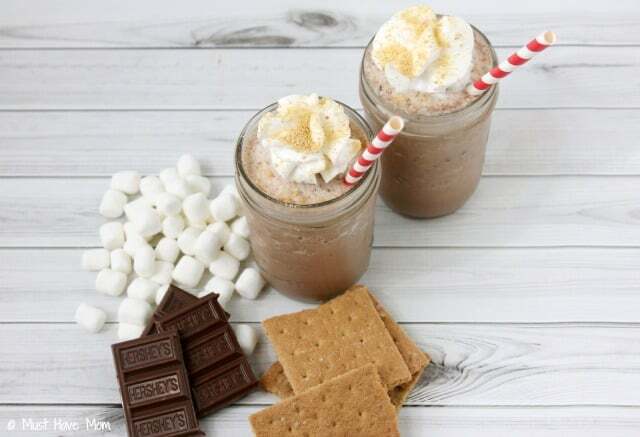 I never thought about making a Smores Shake but I’m going to have to try this recipe. 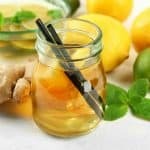 This looks like a cool yummy drink! I think my kids would really love it! I love smores and have been loving the Starbucks drink lately. This seems like it would hit the spot without taking much from my pocket! Yes, it is a great way to save some money by making it yourself. Sarah, this smoothie looks so yummy. I love that it’s ultra simple but sure to please. Pinned! Very cool idea, I’m going to have to make this one this weekend. It’s the 4th and we’ll be outdoors all day, so it will hit the spot. It would be a great way to end the day. Enjoy your 4th. Great recipe for a smoothie! Pinned and printed. It looks delicious and I cannot wait to try it this weekend! Have a great 4th! 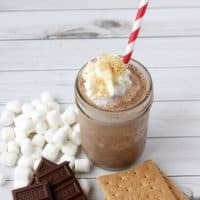 I’m not big on smoothies but a s’mores smoothie I can get behind!!! Looks delicious!! I think once you start talking chocolate and marshmallow, everyone can get behind that. These looks so good! The kids would absolutely love to have these at any time this summer. Thank you for linking up on the #HomeMattersParty linky. Oh Yum! This looks so delicious! I will have to make your awesome Smores Smoothie. We love smoothies in my house and TruMoo chocolate milk is the best tasting, and hormone free! It is a great smoothie. Enjoy it! 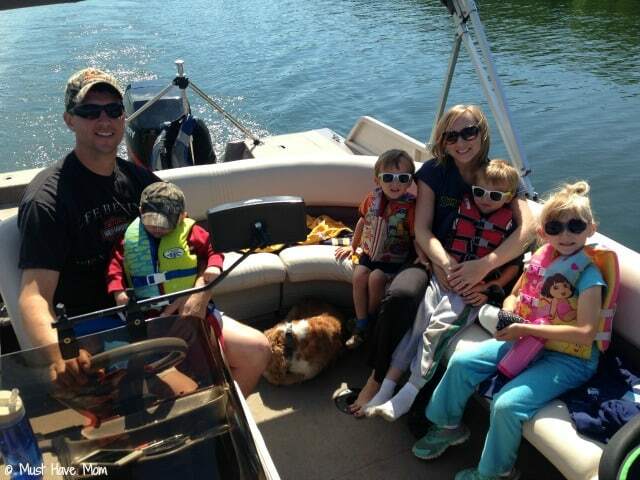 You have a beautiful family and it looks like such a fun time on the boat! We love Tru Moo chocolate milk. My husband could drink it all in one sitting I think. I would have never thought of a smoothie like this, but it looks and sounds absolutely delicious! Thank you. We have a great time on the boat, every time. The smoothie is tasty, just make sure your husband shares.